While life can be unpredictable, there are steps we can all take to make sure many key problems are not inevitable. Once you turn 18 years od age, you're your own responsibility under the eyes of the law. When it comes to your backup plan, you can let the government have a plan for you (and you may not like it) or you can choose to be in control of your own destiny. Once you're 18, you're your own responsibility under the eyes of the law. You can let the government have a plan for you (and you may not like it) or you can choose to be in control of your own destiny. Putting your Plan B together is a key step to becoming life confident. Thinking you will never get sick to the point where someone else will need to make decisions for you. You do have choices about your life, but you have to make them first. 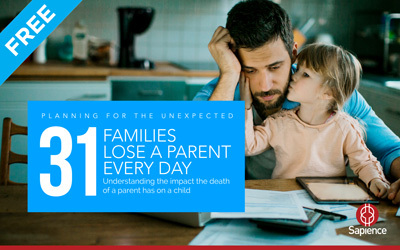 Here are the 15 most common symptoms that indicate a family is dangerously unprepared for the inevitable. What happens if you're the beneficiary in someone else’s will? What happens if you pass away in a car accident and your estate later receives an insurance payout because of the motor vehicle accident? Without a written estate plan, you have no control over what happens to you. Did you know that your superannuation is one of those assets excluded from your Will? Any benefit payable upon your death is distributed by the Superannuation Trustee in accordance with the Trust Deed. When it comes to property owned as tenants in common - if a tenant in common dies, their interest in the property may be distributed in accordance with the directions in their own Will. This means that does not automatically pass to the remaining tenant in common and can be left in someone else's will to another. This means that the property does not automatically pass to the remaining tenant in common and can be left in someone else's will to another. Our repeated experience is that people in an emotionally stressed state who have just lost a parent, friend or child do not automatically make the best decisions; especially when the situation is complex and new to them. Our past usually has a way of catching up with us if it's left unattended. This is especially relevant when it comes to claims on somebody's Will. If you don’t have a formal property settlement from a past relationship, it’s not settled. Past relationships (married, de facto or complex) usually have rights to claim against your estate. If there is any chance of a child from a past relationship, you need to adjust your estate planning accordingly. Forgetting about possible children from past relationships is not an option when it comes to getting your estate plans sorted. This is probably the most common excuse that people make for not taking responsibility for their family and those they are responsible for. Don't avoid your responsibility and expect your family to 'do the right thing'. The courts are littered with cases where the recently deceased failed to take responsibility forcing the courts to do so. Don't be remembered as the person who left an avoidable problem for others. Over 87% of all requests to leave money to charities in Wills are overturned by the family. The majority of benefits left for the sole purpose of providing for grandchildren are absorbed by their parents or intercepted by the family administering a Will. You can use a life insurance policy to fund your wishes and make sure that a nominated children’s guardian has the financial ability to care for them. Yes, you can nominate a care guardian who is different from the financial guardian too). Remember that as extended families grow, partners often have different ideas about what's a priority for their own family first. It may be the future partners of your siblings that become the unknown. Why put additional stress and pressure on your family by saying that you ‘hope they will do the right thing when you can simply make sure that the right thing happens. When you have assets of different value that you may wish to leave to different individuals in your Will, you can use a life insurance product to equalise the value of your estate. Always be careful about bequeathing an asset to a family member where there is a debt attached to it and not providing for that debt as well. You can leave a legacy to your children or if you're not careful, a tax burned as well. Part of good estate planning is trying to anticipate the possible future for a beneficiary and what might be happening in their world later so that you don't have any gift in a Will given to a future family court dispute, business creditors or bankruptcy trustee. Part of good estate planning is trying to anticipate the possible future for a beneficiary and what might be happening in their world later so that you don't have any gift in a Will given to a future family court dispute, business creditors or bankruptcy trustee. Are they going through a family law court settlement? Are they self-employed or in a specialty job where the risk of civil litigation is high? Are they experienced with large amounts of money? (If not consider the use of a trust to protect assets. People in business, particularly people working with multiple business owners, multiple family members, need special attention. The statistical realities are that the more owners, key people, and investors you have, the greater the domino effect of a death or disablement of an owner of key person has on the entire business. Incapacity (loss of ability to think) might trigger the recall of capital loaded to the business, the freezing of existing credit facilities, a forced sell-off of the former owner's shares and interests in the company. Where there are multiple owners in a business, the family of the deceased owner may not share the same approach to risk and businesses that you have, and may even want to step into the company and change its direction. If you're in business, in a Partnership or a Guarantor or Shareholder to a business, you need an additional level of assistance to get your estate planning sorted. Gone are the days where a 'one-document-fits-all' approach can take care of a person's estate plans. Today life is more complex and the spread of chance is only increasing so a modern approach to estate planning is needed. Australian Consumer Magazine CHOICE completed a comparison of four online and DIY Will Kits finding “…when drafting your own Will there are huge differences…’ and even CHOICE ‘recommends obtaining legal advice’. When it comes to witnessing errors, the law is very precise about this and has no leniency. Did you know: A Will can be considered damaged and invalid when evidence of an alteration or annexure is provided; so pinning, paper clipping or attached a Post-it® note to the front of your will may invalidate it. 13 The document Storage Dilemma? If you keep your Will and estate planning documents where you live, they can be lost when you move, changed by someone, or even used as scrap paper by a 2 years old looking for craft supplies. Estate planning documents are too important to risk filing at home or the office. You should tell the right people that you have made a Will but what if they ask to read it or go looking for it when you’re not home? Tip: If you store a Will at home or in the office if you don’t check it from time to time, how do you know if it's been invalidated, lost, damaged or altered. Don't risk it, have estate planning documents professionally stored and make sure your Executor knows where your estate planning documents are stored and how to retrieve them if needed? The one constant of modern life is constant change. As you sell and acquire news assets, you may need to update your plans. As you take out and pay down mortgages, business and consumer debts, your assets are typically used as security so assets also may not be sufficient to ensure provision for your beneficiaries. Tip: If you feel you're at a place in life where you don't yet have the funds you'd like to be able to leave a meaningful legacy, we often recommend taking out a quality life insurance product be used to ‘build something out of nothing’ while you're creating your wealth. Unless you have designed your Will in consideration of future children, (a common fault in poorly drafted Wills) you need to update your Wills lest they be challenged as invalid. We sometimes judge others by their actions and ourselves by our intentions. Some decisions are too important to simply continue to put off. Modern Estate Planning is about your Plan B for you, your family and those who depend on you. The best way to predict your future is to plan for it and document it. Contact us here today to start the process to get more control over your life.